Our Company | CPA firm in Dallas TX | Perkins, Dexter, Sinopoli & Hamm, P.C. About Perkins, Dexter, Sinopoli & Hamm, P.C. Choosing a partner with uncompromising integrity to oversee your accounting functions is essential when running a small business or managing your personal financial matters. Discover why so many individuals and business owners in the DFW area trust a CPA firm that is part of their community, Perkins, Dexter, Sinopoli & Hamm, P.C. We have a well-respected reputation for providing quality accounting services and money-saving tax strategies coupled with unparalleled customer support. To us, clients truly come first. We are committed to helping every client succeed so we work alongside you throughout each stage of your personal financial journey or as your business progresses from inception to maturity. Together, we’ll navigate the path to reach your personal financial and business goals. Find out how we can team up to build your business and your personal wealth. Call 972-669-9730 and get started now. Jeff is a graduate of Texas A&M University and has over 30 years of experience at the firm. Jeff provides tax planning and preparation services for individuals, partnerships, corporations, S-corporations, LLCs, estates, trusts and employee benefit plans. In addition, Jeff provides business consulting services in the areas of new business formations, controllership, implementation of employee benefit plans, small business accounting systems, business transition planning, financing assistance, sell-side due diligence, and tax oriented financial planning. Also, as requested, Jeff provides estate administration services, trustee functions, and oil and gas mineral management. His client base includes businesses in a variety of industries including engineering, distributorships, manufacturing, construction, real estate, restaurants, and a range of service businesses. Jeff has been named a Five Star Services Professional for the years 2015-2017. 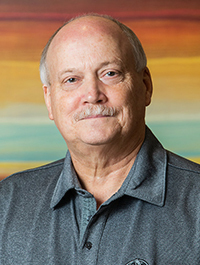 Frank attended the University of Southern Mississippi and has worked for the firm for over 35 years, since its inception. Frank provides individual, corporate and partnership tax services with a specialization in tax and consulting services for the oil and gas industry. Frank manages outsourced joint interest billing services for various oil and gas operators. In addition, Frank provides business consulting and IRS debt relief negotiations. 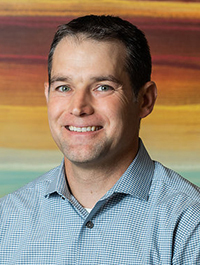 Aaron is a graduate of Texas Tech University and joined the firm in 2003. Aaron provides individual, corporate and partnership tax preparation and tax planning, business consulting, software implementation and training, and controllership services. Aaron has substantial experience in the following industry sectors: construction, medical and home health, real estate, professional services, and retail. 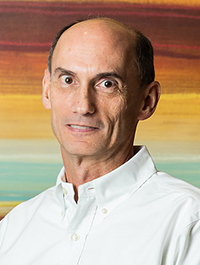 Prior to joining PDSH, he developed tax software for a national software provider. 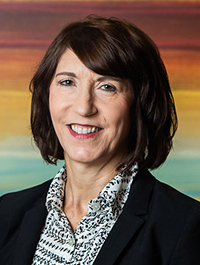 Necia is a graduate of The University of Texas and has 35 years of public accounting experience, including over five years at PDSH. Necia provides assurance services (e.g. audits, reviews, compilations, agreed-upon procedures and financial statement preparation engagements) and business consulting services. As a former partner at EY, she had significant experience in a wide variety of industries of both public and private companies including healthcare, non-profit entities as well as financial services, emerging growth market companies and employee benefit plans. Harry is a graduate of the University of Texas at Austin and has provided public accounting services in the Dallas area since 1960. In January 2018, Harry retired from daily activities with our firm, but continues to consult on a periodic basis. Harry's service areas included tax preparation, research and planning, audit, compilation and review engagements, estate and gift tax planning, and small business consulting. His client services also included significant work in the litigation support and expert testimony area on a varied and wide range of matters throughout his career. These areas of service are, and will continue to be, our focus when working with clients and colleagues.